Question: what is the maximum transmission distance supported by 40GbE? 40GBASE-SR4 transmission distance is 100m when using OM3 multimode fiber, can up to 150m when using OM4 multimode fiber. OM1 and OM2 transmission is not supported. 40GBASE-LR4 transmission distance is 10KM single mode fiber(Same fiber can be used in 10G single mode 10GBASE-LR standards). 40GBASE-CR4 supports a maximum transmission distance of 7 meters. However, due to the limitation of copper technology, may not be able to reach its maximum transmission distance. 40GBASE-KR4 supports backplane technology, transmission distance is 1 meters. Question: Can 40G-LR4 optical modules be split into 4x10G connections? Answer: No, 40G-LR4 module can not be divided into 4x10G. 40GBASE-LR4 uses 4 lambda (or wavelength) on a pair of single-mode fibers, and it doesn't automatically divide itself into 4 pairs, unless the wavelength can be split. The uniqueness of 40GBASE-SR4 lies in its use of parallel optical fibers and allows simultaneous use of 4 pairs of parallel optical fibers. Both 40G-PLRL4 and 40G-PLR4 standards support 4x10G, using 12 core single-mode MTP ribbon fiber, and all of them can achieve the maximum transmission distance. Question: What is the standard transmission performance of 40GbE PLRL4? Answer: 40G parallel LR4 Lite (PLRL4) 10GBASE-LRL standard, the transmission distance is 1KM when using single-mode fiber. In addition, 40GbE PLRL4 optical devices connect the branch cables or single mode fiber boxes by using the 4x10G mode, can support 4 independent 10G-LR connections. Question: What types of fiber are needed for PLRL4 and PLR4 optical modules? Answer: PLR4 and PLRL4 use a 12 core MTP fiber connector, and require a APC single-mode 12 core MTP fiber. The fiber is equivalent to a 40G-SR4 MTP-MTP, the only change is the former uses single-mode optical fibers. UPC optical connector is another type of 12 core MTP connector, but it is not suitable for single-mode optical fiber. APC is the only viable choice for single-mode 12 core MTP fibers. 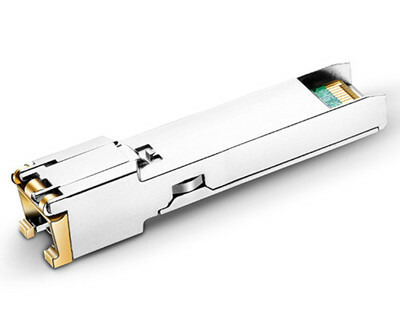 QSFP+ to QSFP+ and QSFP+ to 4SFP+ copper cable can achieve short distance connection, and for long distance connection, Fiberland provides a full range of optical transceivers, to meet the needs of various optical fiber type and distance.